It has been two years since I wrote two articles on the Arch of Palmyra digital replica coming to major cities worldwide. The news media does not seem to have an interest in this story, or perhaps they have been told to ignore it. As Christians, we know the demonic implications of this arch. The arch is the entrance to the Temple of Baal. And now it will be displayed in Washington, D.C. It seemed that New Yorkers felt that this was a natural thing to do. There was no outrage or even a questioning of this event. In Christian circles we were alarmed that such an evil demonic Hindu goddess would be displayed for all of NYC to admire. First, let’s see who “Baal” is from the Bible. Answer: Baal was the name of the supreme god worshiped in ancient Canaan and Phoenicia. The practice of Baal worship infiltrated Jewish religious life during the time of the Judges (Judges 3:7), became widespread in Israel during the reign of Ahab (1 Kings 16:31-33) and also affected Judah (2 Chronicles 28:1-2). The word baal means “lord”; the plural is baalim. In general, Baal was a fertility god who was believed to enable the earth to produce crops and people to produce children. Different regions worshiped Baal in different ways, and Baal proved to be a highly adaptable god. Various locales emphasized one or another of his attributes and developed special “denominations” of Baalism. Baal of Peor (Numbers 25:3) and Baal-Berith (Judges 8:33) are two examples of such localized deities. According to Canaanite mythology, Baal was the son of El, the chief god, and Asherah, the goddess of the sea. Baal was considered the most powerful of all gods, eclipsing El, who was seen as rather weak and ineffective. In various battles Baal defeated Yamm, the god of the sea, and Mot, the god of death and the underworld. Baal’s sisters/consorts were Ashtoreth, a fertility goddess associated with the stars, and Anath, a goddess of love and war. The Canaanites worshiped Baal as the sun god and as the storm god—he is usually depicted holding a lightning bolt—who defeated enemies and produced crops. They also worshiped him as a fertility god who provided children. Baal worship was rooted in sensuality and involved ritualistic prostitution in the temples. At times, appeasing Baal required human sacrifice, usually the firstborn of the one making the sacrifice (Jeremiah 19:5). The priests of Baal appealed to their god in rites of wild abandon which included loud, ecstatic cries and self-inflicted injury (1 Kings 18:28). Before the Hebrews entered the Promised Land, the Lord God warned against worshiping Canaan’s gods (Deuteronomy 6:14-15), but Israel turned to idolatry anyway. During the reign of Ahab and Jezebel, at the height of Baal worship in Israel, God directly confronted the paganism through His prophet Elijah. First, God showed that He, not Baal, controlled the rain by sending a drought lasting three-and-one-half years (1 Kings 17:1). Then Elijah called for a showdown on Mt. Carmel to prove once and for all who the true God was. All day long, 450 prophets of Baal called on their god to send fire from heaven—surely an easy task for a god associated with lightning bolts—but “there was no response, no one answered, no one paid attention” (1 Kings 18:29). After Baal’s prophets gave up, Elijah prayed a simple prayer, and God answered immediately with fire from heaven. The evidence was overwhelming, and the people “fell prostrate and cried, ‘The LORD–he is God! 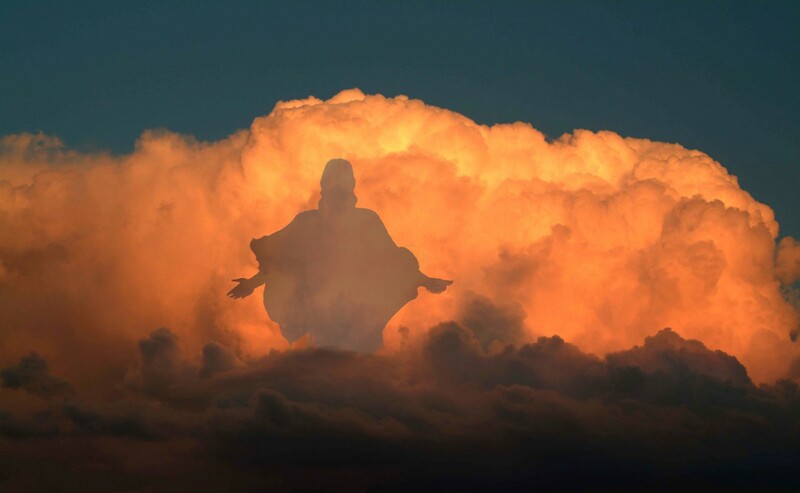 The LORD–he is God!’” (verse 39). ISIS destroyed the Temple of Baal in August of 2015. This structure was situated in Palmyra, Syria. The secular world seemed to mourn the loss of this so-called temple. Next month, unknown sources will be funding the building of a replica of the Temple of Baal in Times Square. Just the fact that those funding this are staying in the shadows, shows clearly the sheer evil of this endeavor. Will New Yorkers complain? That is doubtful. It seems that evil is very much accepted by the general public. “BEIRUT, Lebanon — After a day of conflicting reports about the extent of damage that Islamic State militants had inflicted on the Temple of Baal in the ancient city of Palmyra, Syria, a United Nations agency said late Monday that satellite images confirmed that the structure had been largely destroyed. The primary temple building, nearly 2,000 years old, was flattened, according to the satellite images, taken Monday and released by the United Nations training and research agency Unitar, based in Geneva. “We can confirm destruction of the main building of the Temple of Bel as well as a row of columns in its immediate vicinity,” the agency said in a statement sent to members of the news media, using a different transliteration for the temple. As local activists and antiquities experts scrambled Monday to assess what had happened, all agreed that an explosion at the site on Sunday had damaged the best-preserved structure of the temple, a stone building that included the altar. Some experts had clung to optimism by saying the extent of the harm to the ruins was unclear, while residents and activists said reports had indicated severe damage. It is clear as you read the excerpt from the NY Times, that it brought great mourning and sadness that this evil temple was destroyed. The war between good and evil is not blurred any longer. It is blatant and there is no gray area. Can you see the excitement in the NY Time’s piece when they speak about this structure coming to Times Square? There are also plans to build a replica of the temple in London. Now sources are saying that there are plans to place these demonic temples in over 1000 cities across the globe. Satan and his demons are on the move. He knows that time is short. I believe that we will see evil as we have never seen it before in the coming months. I also believe that the true Church in America will realize that we are not immune from persecution – not verbal persecution – I am speaking of possible jailing and even worse. We must pray that God keep us grounded in Him, and help us to not be deceived. Keep your eyes on the Lord, and know that He is always in control. We should have known that when the plans to have the Arch of the Temple of Baal recreated in London and NYC were cancelled, that Satan was just regrouping with his many followers to figure out a way to get this evil done! Months ago, after Christians all over the world protested about the Temple of Baal, do you remember that the Arch of Triumph was recreated in London, and the plan was to have this done in NYC as well at a later date? I just recently read that the same “Arch of Triumph” was to be brought to NYC in September of this year. I’m sure that it was the Lord giving me the discernment to investigate and research this further. Sure enough, I found out that the original Arch of Triumph in Syria was the ENTRANCE WAY into the Temple of Baal! Satan might think he is so smart to pull this off, but our Lord is SMARTER!! Praise His Holy Name! Share this with every Christian you know!! The Monumental Arch, also called the Arch of Triumph (Arabic: قوس النصر‎‎) or the Arch of Septimius Severus, was a Roman ornamental archway in Palmyra, Syria. It was built in the 3rd century during the reign of emperor Septimius Severus. Today, it is being reported that this demonic arch will be on display in Washington, D.C. on September 26th. The Triumphal Arch of Palmyra in Washington D.C. The IDA’s flagship exhibit, the replica Triumphal Arch of Palmyra, will be displayed in Washington D.C. from September 26 – 30 2018. The original Roman victory arch was built in Palmyra, Syria at the end of the second century CE. Originally it stood in front of the Temple of Bel where pagans worshiped the Mesopotamian god, also known as Ba’al, in a form of idol worship that figures prominently in the Bible. The temple was dedicated in 32 CE but was constructed on the site of a pre-existing temple that goes back to the third millennium BCE. The rabbi explained that it is no coincidence that the arch is becoming a centerpiece at gatherings of world leaders. The disciples of Rabbi Yossi the son of Kisma questioned him, asking when the son of David (the Messiah) will appear. And he answered: I am afraid you will request from me a sign as well. And they assured him that they would not. He then said to them: When this gate will fall, be rebuilt and fall again, be rebuilt again and fall again. And before it will be rebuilt for the third time the Messiah will appear. Brethren, I do think that it is very strange that the reporting of this arch in Washington, D.C. has been so hush hush. Surely some D.C. news outlets should report on this – unless they were told otherwise. Keep looking up brethren. I believe that we are close to the end. I like your articles, I write in the same veneer, fixen to write on Hosea 1, 2 the gods and goddess during the second temple building and their influence in America. In the flesh scholars tell you that Hosea married a prostitute but that is not what Hosea was talking about in the spirit. This is as Mysterious as Babylon>>>> ?!!! I think there is already an arch like this in Seattle. It’s on 2nd ave in front of the Federal building. Anybody else seen this or know anything about it? The weapons of out warfare are mighty THROUGH GOD TO PULL DOWN DEMONIC STRONGHOLDS!!! Saints pray!! !